Nearly a decade after he exited the industry, Captain Gopinath, one of the pioneers of the Indian aviation scene is back. 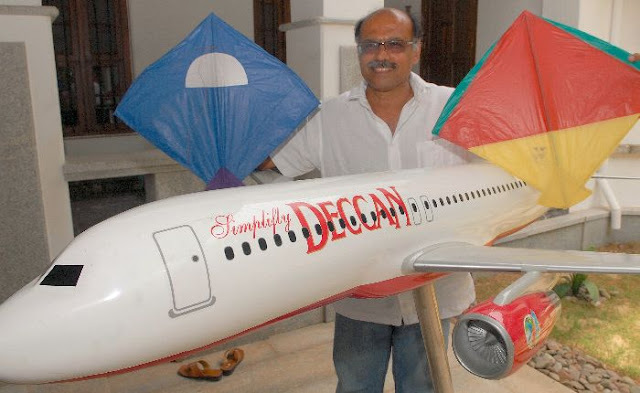 GR Gopinath, aka Captain Gopinath the founder of India's first budget carrier, Air Deccan is set to take to the skies once again. Under the UDAN scheme which is aimed at increasing air connectivity in smaller cities, five airline companies including Air Deccan have been given the go ahead. The new venture from Gopinath will operate flights between Delhi-Agra, Kolkata-Burnpur, Kolkata-Cooch Behar, Bagdogra-Durgapur, Kolkata-Jamshedpur, Kolkata-Rourkela, Shillong from various cities in the north east, Dehradun-Pantnagar and Delhi-Pantnagar, Mumbai-Kolhapur, Mumbai-Jalgaon, Mumbai-Nashik, Pune-Nashik, Mumbai-Sholapur. According to Mint, the company is focusing on smaller 18-19 seater planes to connect several remote locations. Gopinath, a retired captain in the Indian Army ventured into the Indian aviation sector in 1997 with the launch of Deccan Aviation, which offered chartered helicopter service. But in 2003, when launched Air Deccan, with a tagline, 'simplyfly', it added a new chapter in the country's aviation history. The Bengaluru-based company introduced budget air travel to Indians, mostly targeting at long-distance passengers who would otherwise be spending days on a train.